In the past WWDC, we saw how Apple took its first steps in the field of augmented reality and few other small steps. Apple gave the ARkit presentation and the developers showed us the demonstration that new of how augmented reality can be useful in our day to day life. Now, this is only the beginning and many rumours suggest that in the next few years Apple could go to the next level by launching their own virtual glasses to squeeze this augmented reality to the max. While that moment arrives, the Mira Prism takes advantage of its lenses and placement to show holographic in front of our eyes. 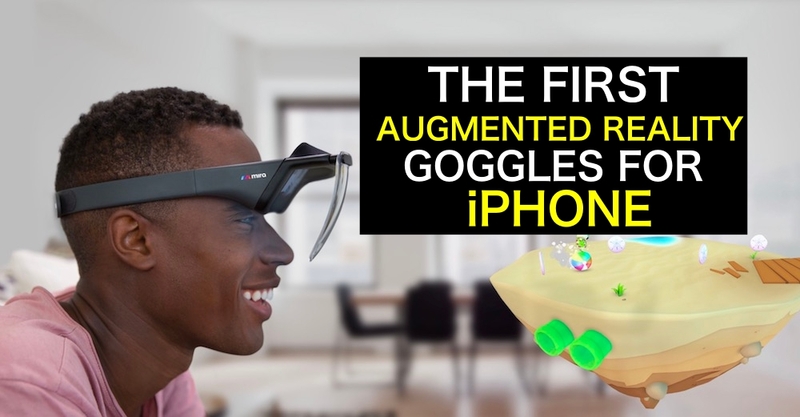 This accessory allows you to enjoy the augmented reality of the iPhone in the first person. 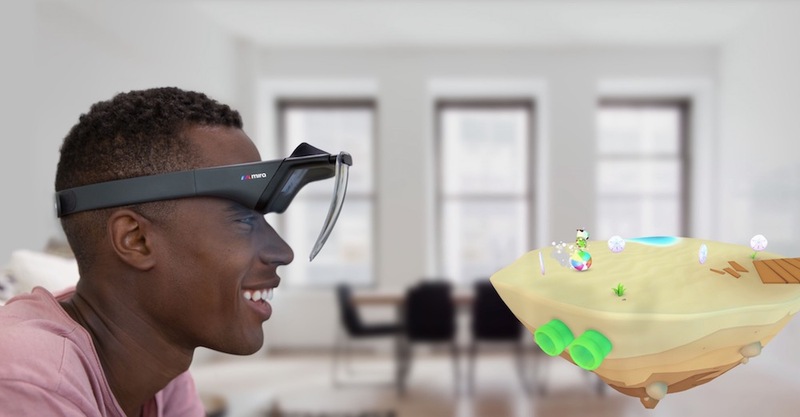 In recent years we have seen hundreds of cases of ‘virtual reality’ for smartphones, but in the case of Mira Prism is an augmented reality viewer, that is, we can continue to see what we have ahead as well as virtual graphics. The idea is that in prism glasses there is no electronics, no sensors, no need for power (they can be used anywhere). They work by reflections of the iPhone screen. Thus, the Apple phone is placed at the top, in an angled position so that it does not bother the vision. In this way, it reflects the images on the screen and takes advantage of the integrated sensors – accelerometer and gyroscope – on the smartphone to correct and detect the movement, and the camera to know ‘what we have before us’. 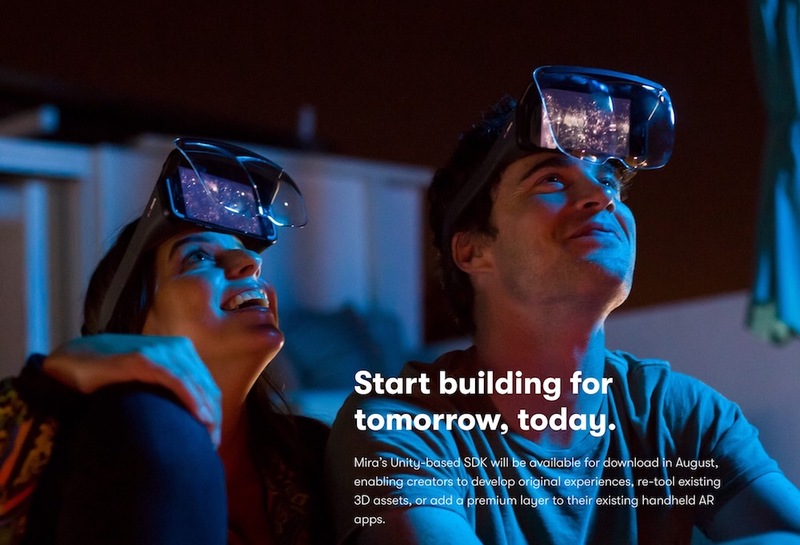 These AR glasses include a control knob and even have a viewer mode so that others can see from the smartphone what we are seeing with the glasses. At the moment you can reserve for 99 dollars, a high price, considering that they do not include electronics. In addition, they have also released tools for developers who want to create content for them and announce that in the coming months. They will also be able to integrate with the experiences created through ARKit, Apple’s official solution. If you have any queries regarding these Goggles, let us know in the comments below. We will get back to you to solve all your queries as soon as possible. If you have tried any Augmented Reality glasses then share your experiences with our readers. Which type of Augmented Reality glasses are you expecting?